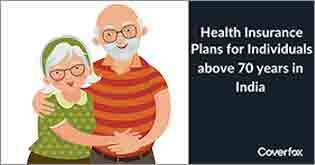 Timely purchase of right health insurance covers for the entire family can help you do your work worry free, knowing well at the back of your mind that you have taken all the right steps to protect your family’s financial future. Ramesh is an ex-investment banker. One day, as he watched the movie “Rock On”, something happened inside of him. He realised that despite all the money, he was not happy. And why? Because right from his school and college days, photography had been his passion. As they say, nothing can stop an idea whose time has come. So, there he was, next day, with his resignation letter in hand. After serving a couple of months of mandatory notice period, instead of the cubicle, he’s there in the foothills of Himalayas taking beautiful pictures of scenery and wildlife. This seems like a fairy tale, doesn’t it? But wait for a moment. While working for yourself and following a passion looks so good and appealing, one must remember that it comes with its own share of risks and roller coaster rides. When you work for yourself, you no longer get a monthly cheque from your employer however all the vendors and bills still come and sit on top of your head on 1st of the month for their dues. So, where you work for your passion, you must also protect your finances from any financial impact of unforeseen events and emergencies etc. 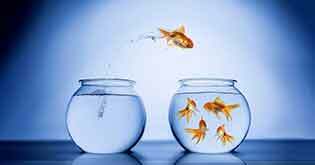 In this backdrop, let us explore some of the risks a freelance professional like Ramesh can face and what he can do to secure him from these financial costs and follow his dreams without undue worries. a) Pure health insurance: This is an indemnity based cover that’ll re-imburse the costs in case of hospitalisation. You will have to produce the bills etc. to support your claim, basis which insurer will process it and release the money. The claim payment will be subject to any restrictions like waiting periods, capping, sub-limits, and other exclusions. b) Personal accident insurance: This is a fixed benefit cover whereby in case of any accident which causes disability, you’ll get paid a fixed amount as per the policy terms and conditions. c) Critical Illness insurance: Sometimes, it may happen that an illness may be diagnosed and does not require immediate hospitalisation but the illness management will take prolonged time, certain lifestyle changes or even hospitalisation. In such cases, neither your pure health not your personal accident policy is of any use. 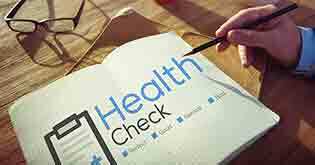 In such situations, you need to have a critical illness cover that pays you a fixed amount on diagnosis as per policy terms and conditions irrespective of the actual expense that you incur on treatment. Apart from these mandatory policies, you must also have a travel insurance (in case you are travelling within the country or internationally) and home insurance to help you mitigate financial loss due to calamities like earthquake, riot, fire etc. In case you have your own home, then a cover for structure as well as contents is necessary. If it is a rented one, you can purchase a cover only for the contents. 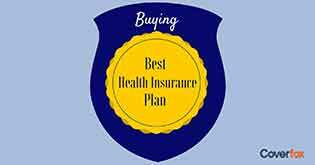 When purchasing a health insurance, you should first ensure that it is of adequate amount (is there a point having a Rs. 2 lac health insurance in a city like Mumbai), check the policy features, waiting periods, exclusions etc. and then the premium, before finalising the policy. If you are not a financially oriented person, get a health insurance advisor to provide you the right guidance on your requirements. Though the premium is a bit higher, but it will ensure that you are not left stranded for insurance protection in case of a major hospitalisation. Usually, people moving into own business make a mistake of waiting till they quit the job, to buy their health insurance. This is incorrect. The day you put your papers in the company and walk out of your last day, your employer provided insurance cover is over. And even for insurance, you are now on your own. Hence, it makes sense to plug this gap till the time you are in employment, so that the day you walk out on your own, you and your family members are covered. Also, it is critical that you buy health insurance as early as possible. Simple reason is that premiums are cheap when insurance is purchased earlier in life and the fact that if you’re young and disease free, insurers will not have an issue giving you insurance, whereas if you end up having diabetes or high BP, insurers become slightly weary. These illnesses can then be covered under pre-existing condition or in a worse case, an insurer can also decline the policy. 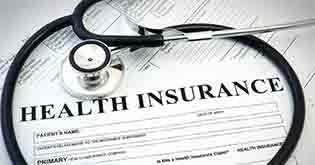 Hence, it is advisable to purchase health insurance by your early 30s so that you don’t face issues in policy issuance. 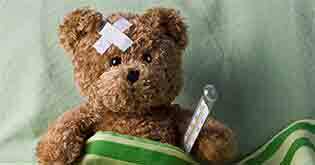 It is not enough to cover only yourself under the health insurance plan. You need to cover your spouse, children as well as parents if they are financially dependent on you. Usually, people make a mistake of covering only the immediate family and not parents, whereas the likelihood of parents getting hospitalised in far higher. Bear in mind that as per the extant tax provisions, you are also entitled to a separate tax deduction under Section 80D of the Income Tax Act of upto Rs. 25,000 for purchasing health insurance for parents, so it will also help you reduce your tax liability for the year. As the Mastercard ad says: “Something’s are priceless....” That goes for entrepreneurship as well. There’s nothing better than the feeling of being in control of your own destiny. But as they say, with freedom comes responsibility. As a freelancer, you now have to be all the more responsible on your financial fitness and health insurance is a critical spoke in that wheel.